2017 (FRESHMAN): Played in 50 games with 44 starts...Started 41 games at third base...Batted .297 with 51 hits, including six doubles and five home runs...Scored 28 runs and drove in 31...Hit a pinch-hit two-run home run in first collegiate at bat vs. Paine (Feb. 3)...Went 4-for-6 with a double, three runs scored and two runs batted in at No. 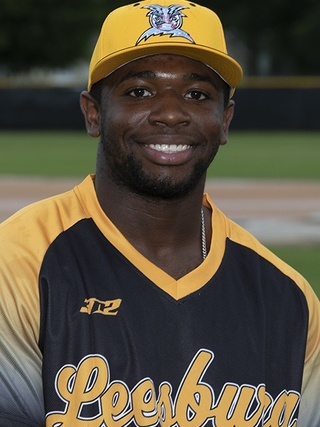 1 Nova Southeastern (Feb. 21)...Had three hits, including a home run at Saint Leo (May 6)...Went 2-for-4 with a home run and four RBI at Francis Marion (March 25)...Was selected as the PBC Freshman of the Week twice (Feb. 27 and May 8)...A PBC Presidential Honor Roll Presidential Scholar. HIGH SCHOOL: Graduated from St. Joseph Academy in St. Augustine...Lettered two seasons after transferring from Palatka High School...Lettered in football and baseball at SJA...Was a running back and linebacker for the Flashes and helped lead the team to a 9-0 season as a senior and a conference title...Was a first-team all-district, second-team all-county and first-team all-conference selection in baseball as a junior...Led SJA to a district title and a 16-5 record...At Palatka, he was a two-time all-district selection and earned first-team all-county honors as a freshman. PERSONAL: Son of Melvin III and Chela Dasher...His father, Melvin, played in the Kansas City Royals organization...A psychology major.